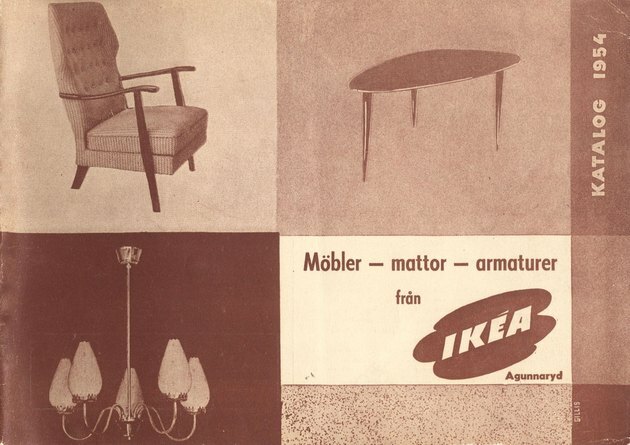 In case you've missed it, this year is Ikea's 75th anniversary. 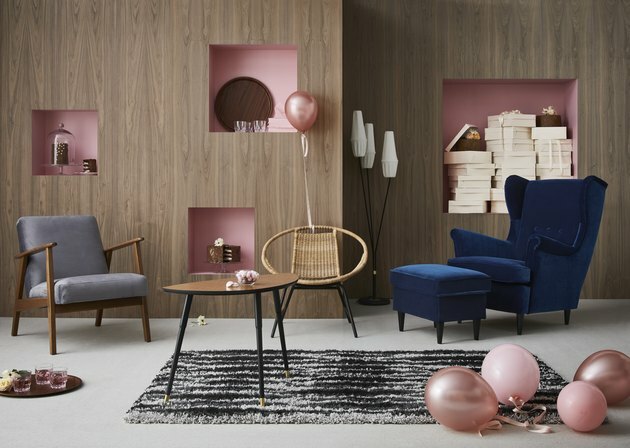 And in celebration, enter the Gratulera collection, which comprises hand-selected Ikea furniture designs from the 1950s through the early 2000s that are being re-launched. A vintage-lover's dream, if you ask us. The launches are staggered, with the first round coming out in August ('50s - '60s), the second in October ('70s - '80s), and the third in December ('90s - '00s). 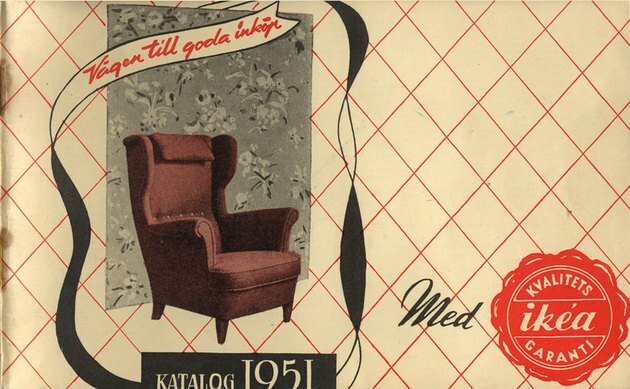 According to the caption of this Pin, this was the first cover of the Ikea catalog ever, way back in 1951. The Strandmon, which was one of Ikea founder Ingvar Kamprad's favorites, is now being brought back in a brand new color — dark blue-green. Ok, so these chairs don't seem to be identical, but they're similar enough to warrant some comparisons. 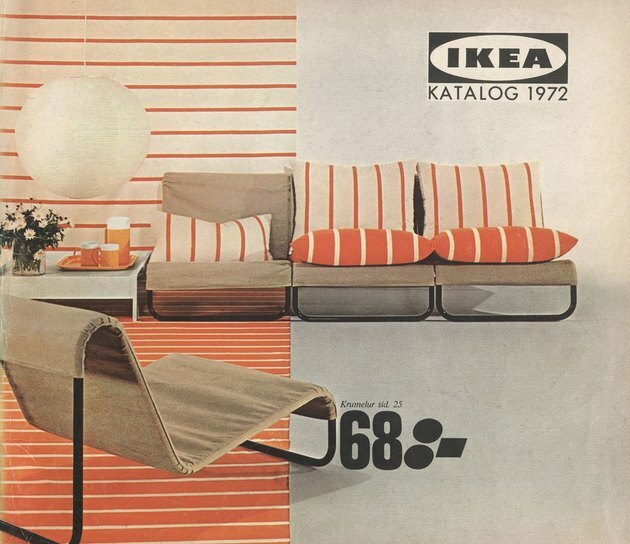 Mix and matching colors and prints seemed to be all the rage in 1963, but today the Ekenäset is styled more neutrally. 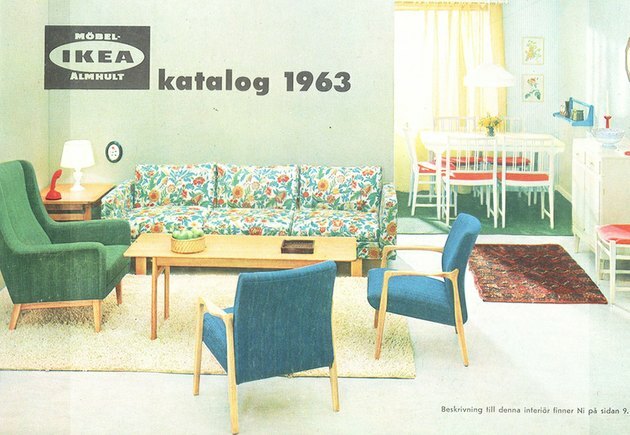 There's the Lövbacken, in all its glory, in a 1954 Ikea catalog. 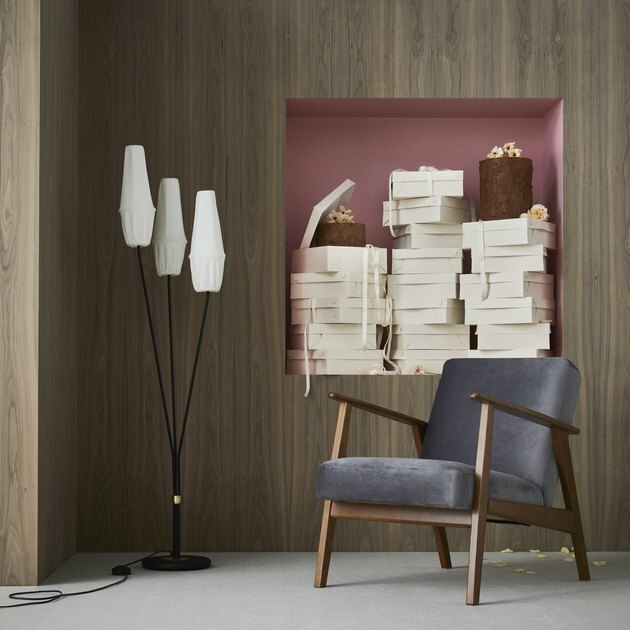 "An icon is an icon because it's unexpected, or considered an innovation of its time — like the Lövbacken table (previously known as Lövet)," said the creative leader at Ikea of Sweden, Karin Gustavsson. "It's such a cool statement piece, with only three legs — the tips covered in metal. It's our first knock down product." Again, these may not be the exact same sofas, but the idea remains the same: Primary colors were all the rage in the 1980s. 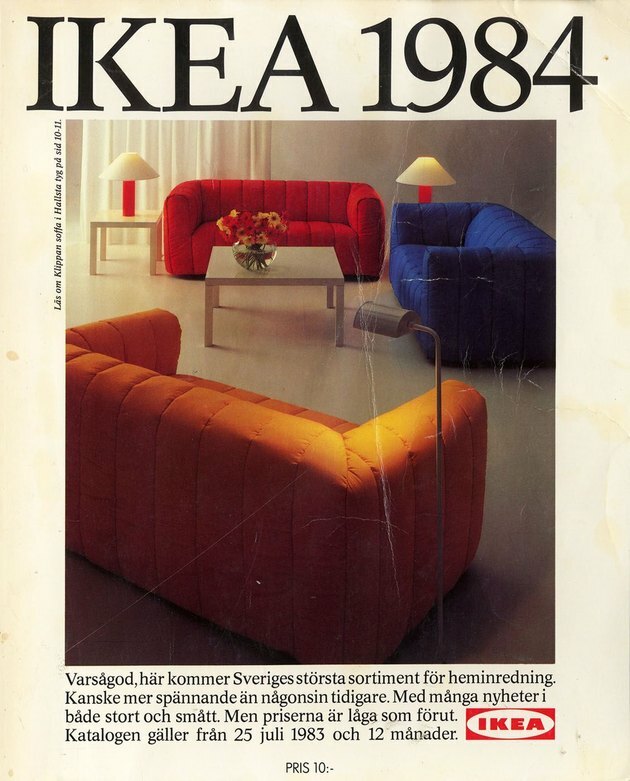 And in 1984, Ikea even styled them all together. 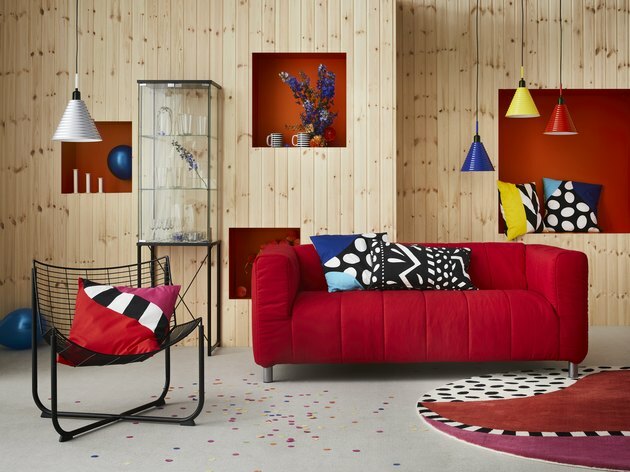 These days, while several colors are still present in the styling, there's only one statement piece: that bright red loveseat. 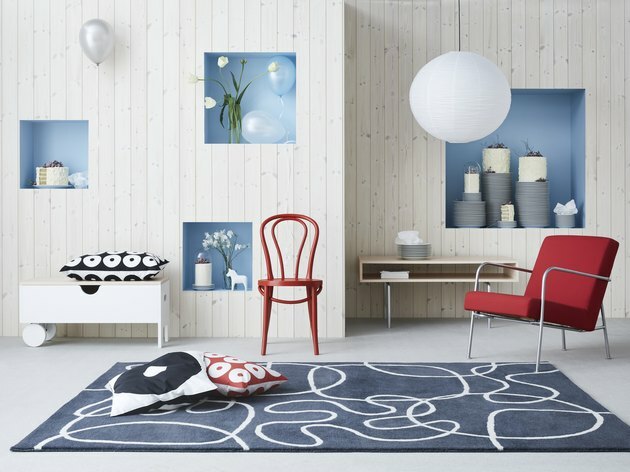 Ikea says the Sjuttiofem lamp shade is a throwback from the '90s, but we were already seeing an eerily similar piece way back in 1972. Today it offers a light, fresh feel, but back then it was retro-as-can-be paired with orange accents.